Is it a tough walk uphill from the main street to these hotels and how far is it? Are they handy to a variety of eating places? Which hotel would you pick? Sorry to ask so much but It is hard to get a handle on the terrain from maps and I have been caught out before with big uphill walks to lifts and or hotels in Nozawa & Shiga. 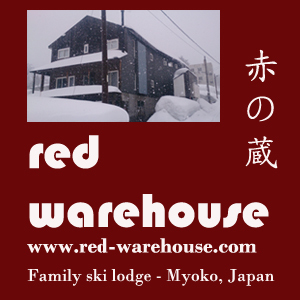 I look forward to being part of this forum & my Myoko experience after looking across to it from the other side of the valley for the past two seasons. As you can see they are virtually across the road from each other. Never stayed at either so can't recommend one over the other. I am fairly certain you could get to both Chuo and Champion. Might be just a little bit of poling across to the bottom of Champion though. You can easily walk to a number of eating places (and stagger home) - just check the links on the map I gave above. Hope this helps. Well seeing you asked I do have a question:- on previous trips I have stayed in a western room and a japanese room. Can you tell me how a combination western/Japanese room is set up? Would they have western beds but more room? Depends on the hotel but I think if it's a combination it probably means beds with a Japanese style sitting area.